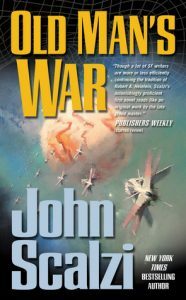 I happened to come across an interesting title, as it happens to me sometimes, and I did not feel sorry a bit for reading the “Old Man’s War” by Jouh Scalzi. It was so good, I actually went on and read the sequel, “The Ghost Brigades”. Strangely, that did not disappoint me either. The writer is surprisingly good and I was not able to predict the turns of the plot, which makes for a very exciting reading. Well, sometimes you do go “oh, damn, I wish he didn’t do that” but it’s the author’s cruel world and he is the king. The writing style is very much reminiscent of that of Robert Heinlein, whom I love to read. Author even acknowledges pretty much that Robert Heinlein was an inspiration to him. The last sentence reads “Thank you, Robert A. Heinlein, for debts that have … become obvious.” I have to say John Scalzi lives up to the expectations, albeit being far more cautious and less provocative than Heinlein. All in all, a highly recommended, very entertaining reading in the Sci-Fi genre with plenty of interesting ideas interspersed with action. 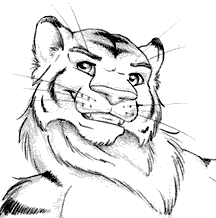 Posted on 2015-11-24 by Tigr. This entry was posted in Books and tagged book, en, entertaining, Fun, good, John Scalzi, recommended, Sci-Fi. Bookmark the permalink.